Please note that this Guinness cap may be tight for XL and larger sized heads. This Irish cap features Guinness embroidered on the bill along with a green shamrock on the front. 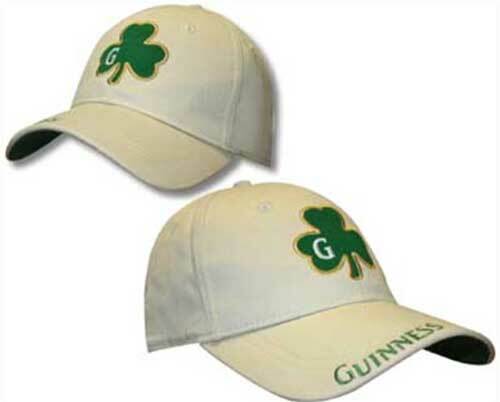 The cream Guinness cap is further enhanced with the harp logo embroidered on the rear. This 100% cotton Guinness hat is a one size fits most flex fit design and it is received with a shamrock history card, complements of The Irish Gift House.